The table above shows the new level included with the DREAM II series, which is the main difference compared to the old DREAM series. The old DREAM series had 4 levels and 48 robot examples. The new DREAM II series now has 5 levels and 60 robot examples. All plates, rivets, motors, parts, etc. can be used interchangeably between the old DREAM sets and the new DREAM II sets. The DREAM II series has the added level, the added workbook, and the BOM of some of the kits has changed. The DREAM II School set is also available, which includes a "jump kit," DREAM II Level 2, and DREAM II Level 3. ROBOTIS DREAM helps you understand not only the principle of movement, but also speed and force, principle of a leverage, elasticity and inertia. Block toys and figures can be boring. 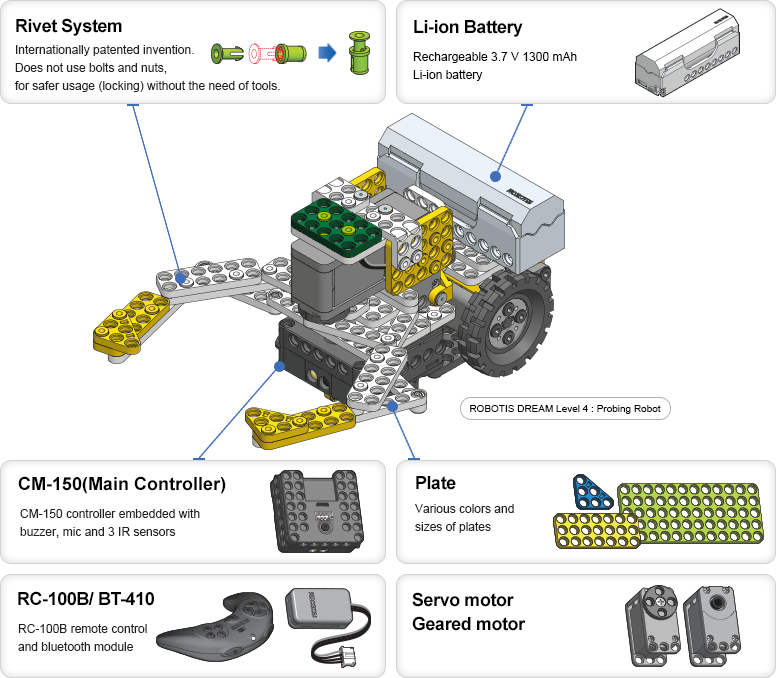 Use ROBOTIS DREAM to create the robot of your dreams! Have you lost interest in wheeled robots? 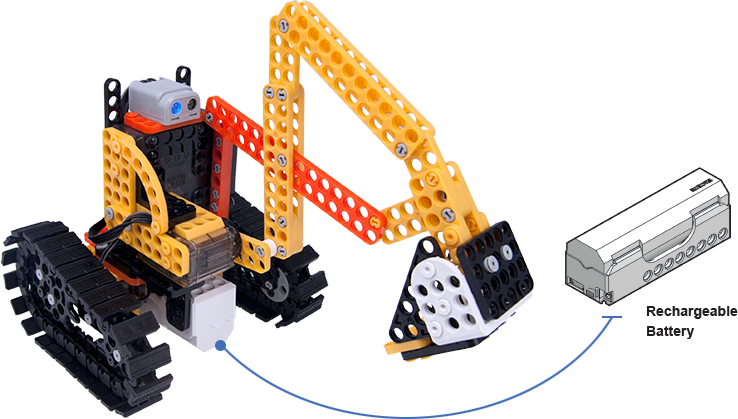 ROBOTIS DREAM enables you to create bipedal, quadrupeds, hexapods, as well as other different robots. * Expands into more interesting robots using various sensor. 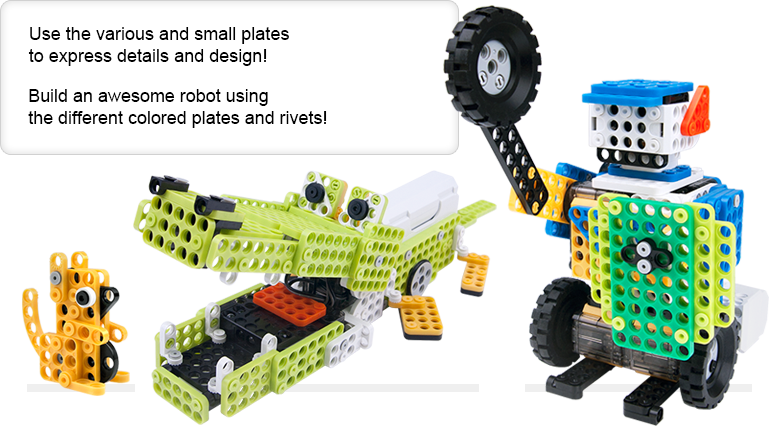 You will be surprised at how attentive and focused children are when playing with ROBOTIS DREAM. This will help improve and grow their creativity and scientific thinking. 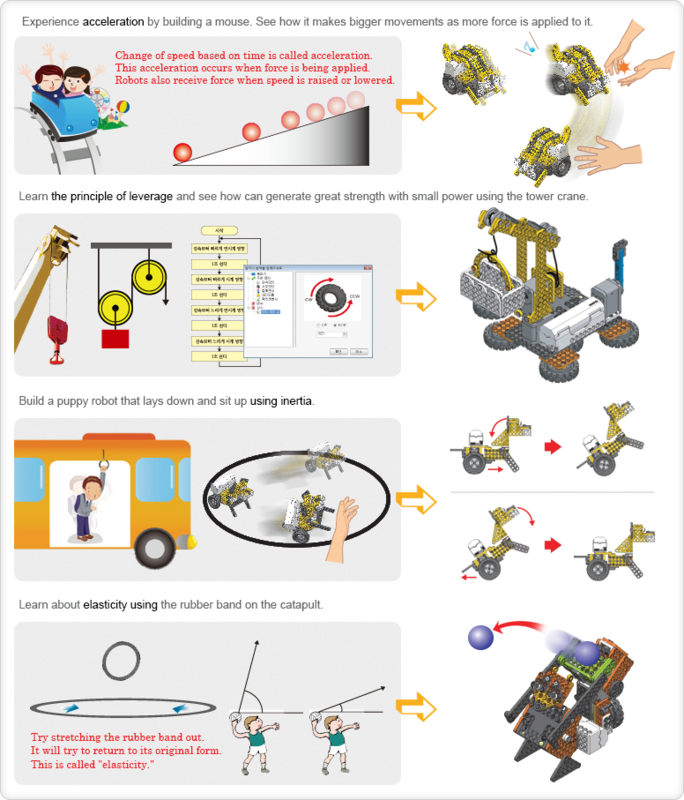 ROBOTIS DREAM does not require any soldering or dangerous tools to assembly the robot. Not only that, the electric circuits are not open to ensure your safety.